Weaver Bird is an organic clothing brand that works directly with the farmers, weavers and tailors to create beautifully designed sustainable clothing for men & women. Every garment of Weaver bird is a labor of love - love for the planet, love for fellow beings and love for good design. At the core of Weaver Bird’s business model are its values of social upliftment, empowerment of artisans and farmers, fair wages and environmental sustainability. The cotton we produce is grown without the use of toxic pesticides and fertilizer; the seeds are GM-free. 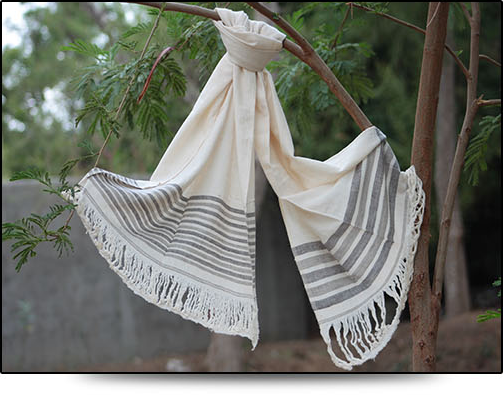 The fabric is hand spun-hand woven, washed soap nut and without the use of chlorine, and is dyed/printed with natural dyes. The cloth is produced with the principles and practices of ecology, sustainability and with minimum of carbon foot prints. It is the ultimate cloth not only for ecology and farmer, but one can hardly find better alternative than this for healthy clothing. To create a just society by providing fair wages to its organic cotton farmers and artisans, preserve traditional craft forms and promote sustainable clothing. then Weaver Bird Fabric is for you...!! !